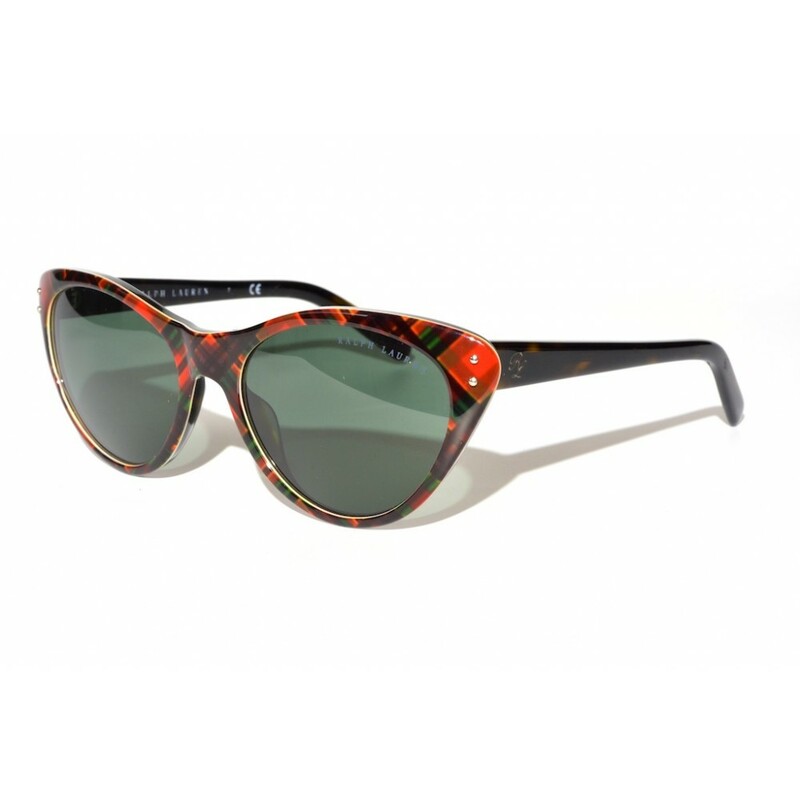 A beautiful and playful cat-eye styled pair of sunglasses. The shape clearly hints at the stylish 50's. The frames feature a great "plaid" print and is layered, which adds to the unique appearance of the glasses. The earstems are brown tortoise and make a great contrast with the frames.